Constructed with a GORE-TEX lining, the adidas Terrex Tracerocker keeps your feet dry, warm and protected as you take on the trails. A rugged Traxion outsole provides exceptional grip and traction while the lightweight EVA midsole ensures long-term cushioning and comfort. "Great shoes work great on my bike as well"
"Very comfortable light on your feet and a goretex lining to keep your feet dry"
Signature GORE-TEX technology has been incorporated into the upper of the adidas Terrex Tracerocker walking shoe to keep your feet dry and warm with waterproof properties. 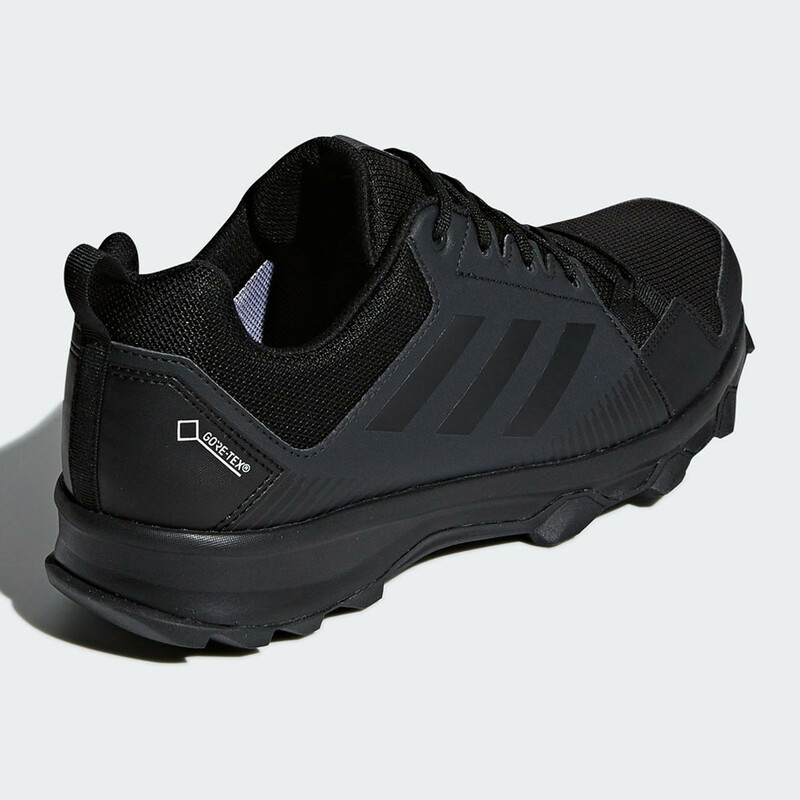 The reinforced protection enables you to run with comfort and confidence, knowing your feet will be dry and protected, even when the elements are seemingly against you. Working alongside the GORE-TEX is a breathable mesh, which actively and efficiently wicks away the build-up of excess sweat and moisture to leave your feet cool, dry and comfortable as you strive for the best results and performance. In addition, cool air is encouraged to circulate and create a drier, healthier environment for your feet to thrive in. 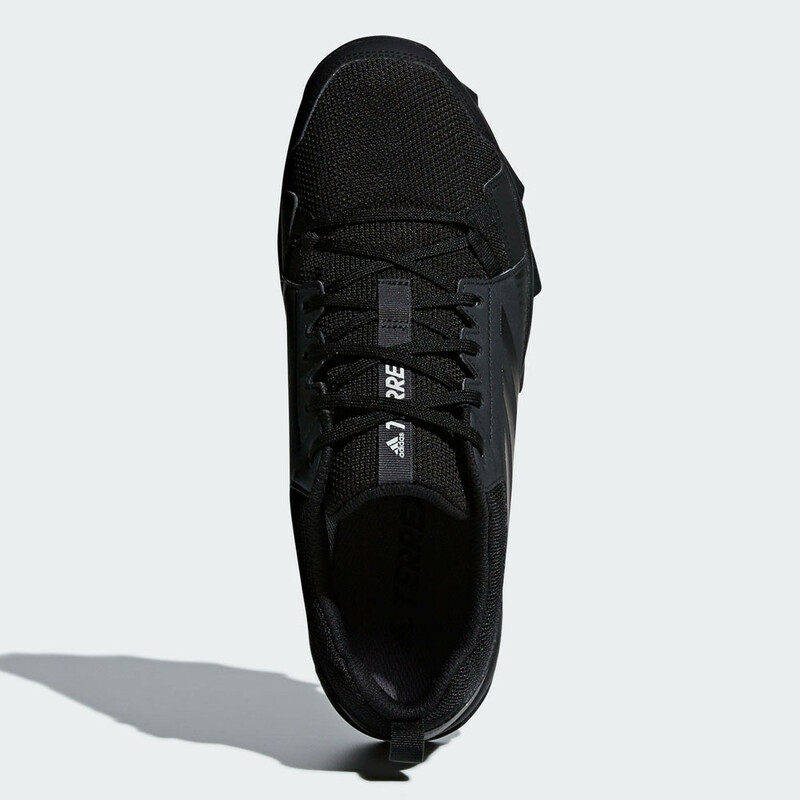 A padded tongue improves comfort and guards against friction and irritation such as chafing while a traditional lacing system keeps your feet secure inside the shoe. Lightweight EVA resides in the midsole to ensure long-term cushioning and comfort for a more responsive, comfortable feel. 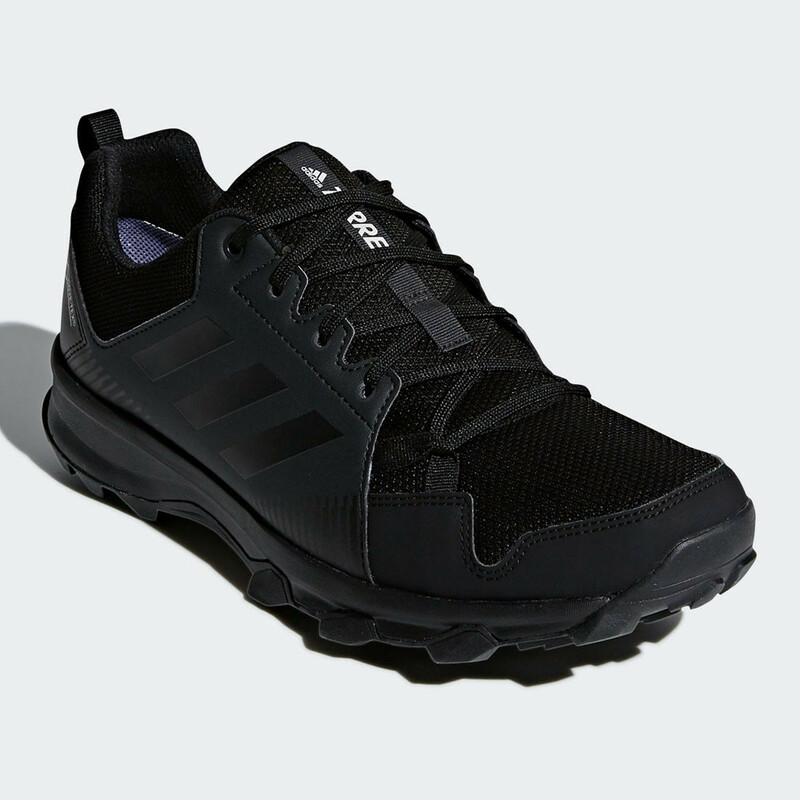 The plush cushioning helps to minimise the amount of wear and tear placed upon your joints during high-intensity activities such or on difficult trails. This also reduces the potential risk of injury, giving you the confidence needed to maximise focus and performance. 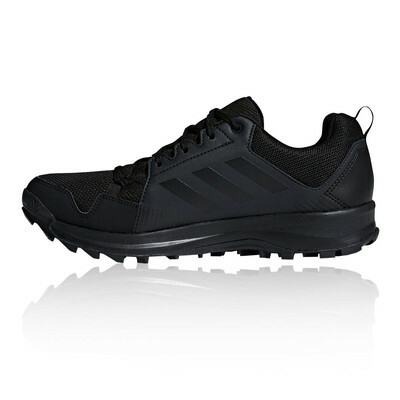 Having prolonged cushioning is ideal for the trails as your feet will be put through their paces on difficult terrain. 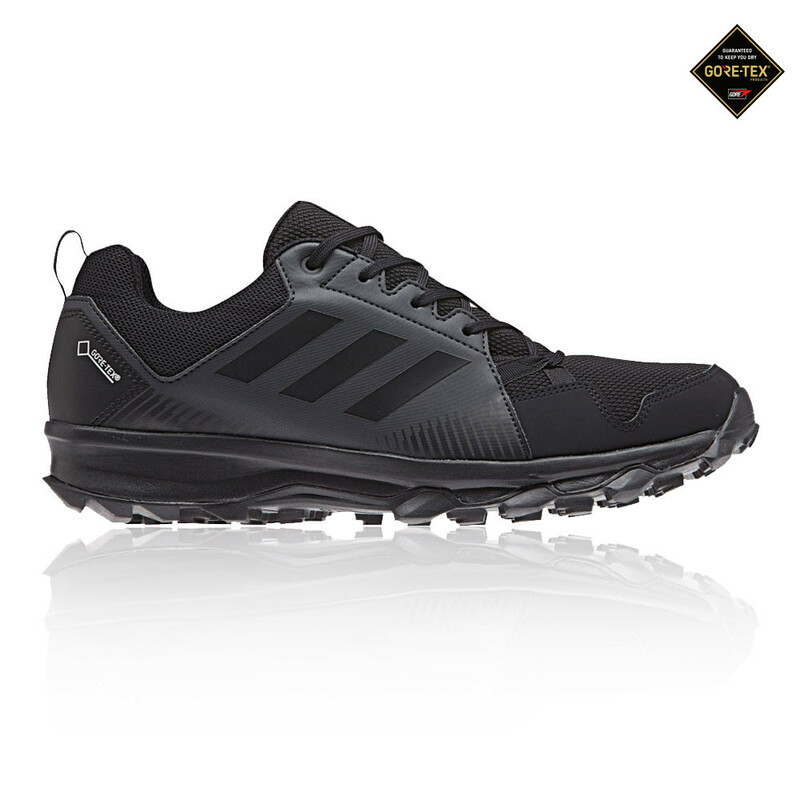 Optimal grip and traction are provided by the Traxion outsole. 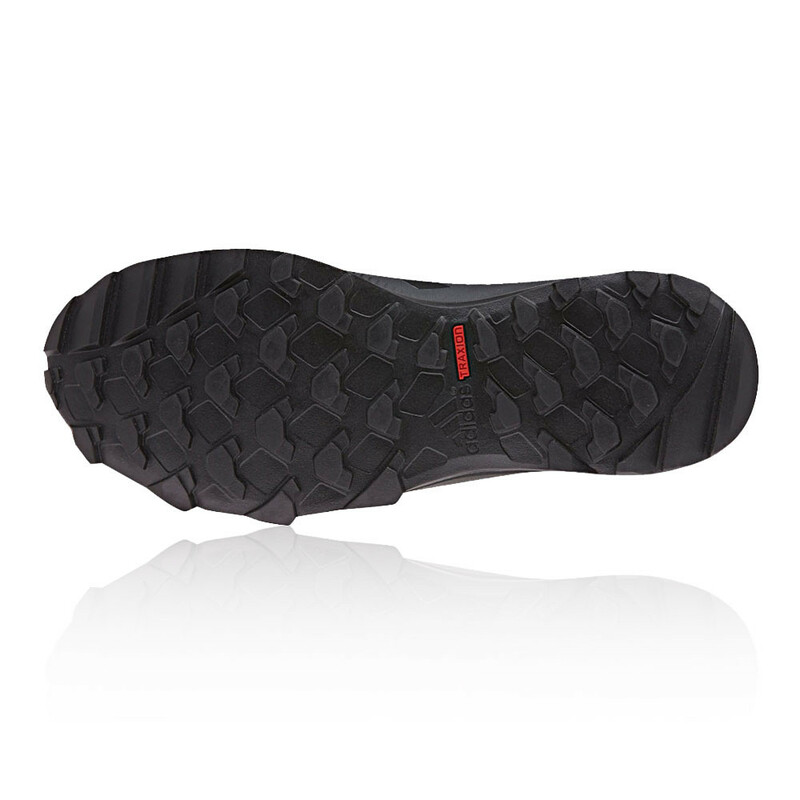 The rearfoot Traxion outsole is designed with a tapered shape which provides excellent ground penetration. 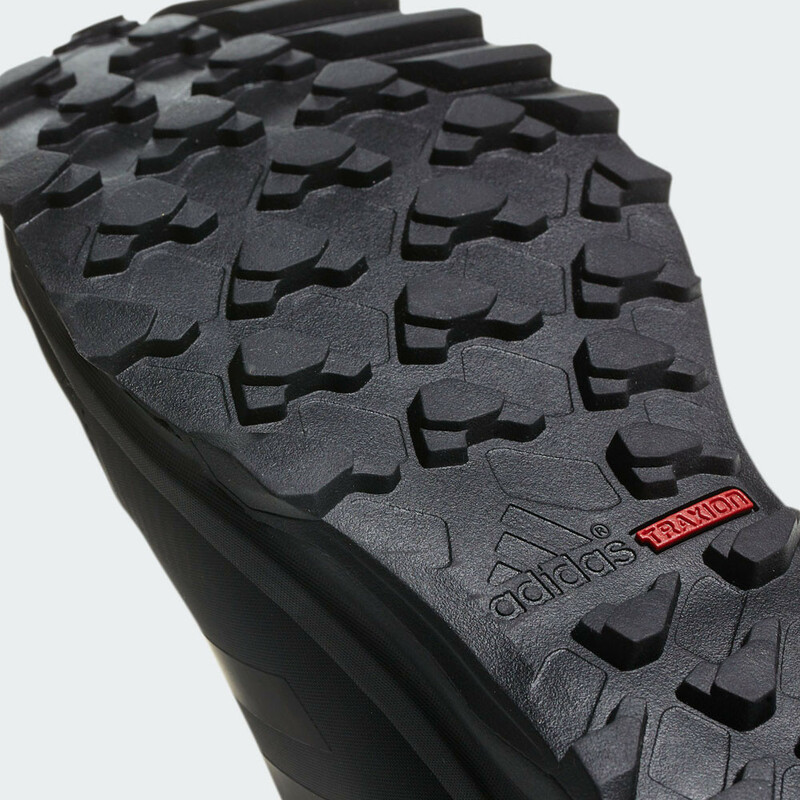 The narrow profile of each Traxion lug generates exceptional traction without slippage, making it ideal for adventuring over both wet and loose ground. A stealth rubber toe cap and forefoot help to maximise rock contact for further traction during climbing and scrambling. 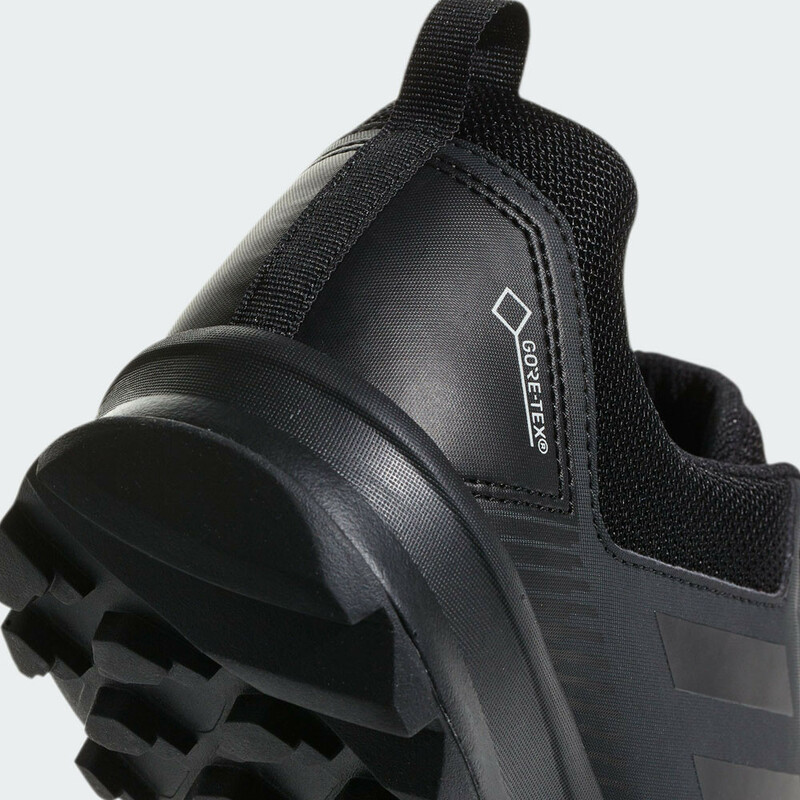 Both outsole grips are constructed using durable, sticky adidas rubbers to ensure high performance from the Terrex Tracerocker. Breathable - To ensure you stay cool and dry. Padded Tongue - Improves comfort and guards against friction. Traditional Lacing - Keeps your feet secure inside the shoe. Lightweight EVA Midsole - Delivers long-term cushioning and comfort. Prolonged Cushioning - Offers responsiveness and minimises the risk of injury. Traxion Outsole - Provides optimal grip and traction. Traxion Lugs - Ideal for wet and loose terrain. Stealth Rubber Toe Cap - Maximises rock contact for further traction.